I just love this shot. I just feel like I can fall into the photo and lose myself, forever! Paul Pichugin and I had been driving around for hours when we decided to stop here at dusk and see what we could capture. I must admit I am so used to looking at oceans that it took me ages to actually ‘see’ this photo. Once I started seeing these images, it was all I could see and I had a ball. It was great getting out of my comfort zone and shooting subjects other than the ocean. 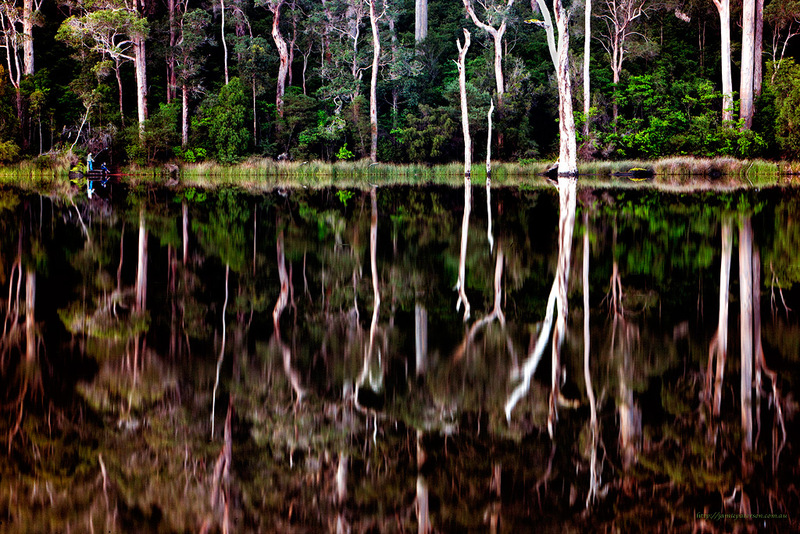 This entry was posted in australian landscape photography and tagged australian landscape photograpjy, australian photographer, impressionist photography, karri valley, pemberton. Hey Sandy. Thanks very much!